Writing an effective online advertisement takes a lot of experience and skills. 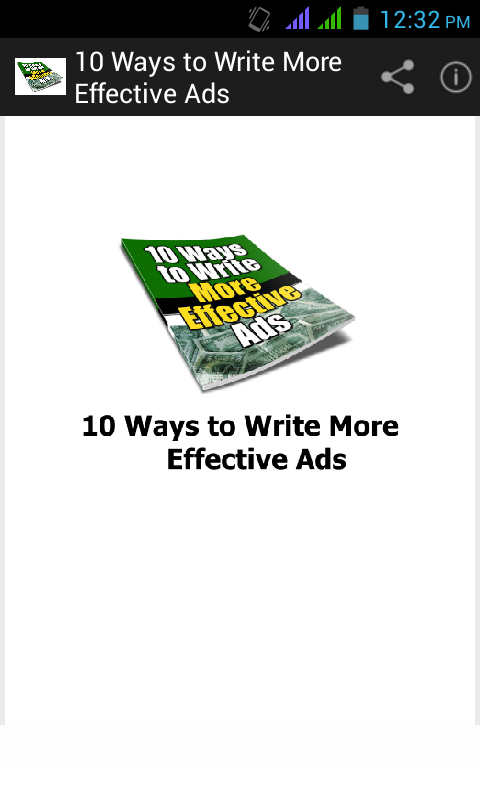 There is a particular structure and policy for writing a successful and effective advertisement that compels people to click and to help you learn all those skills as well as tactics, we have created an all in one app “10 Ways to Write More Effective Ads”. 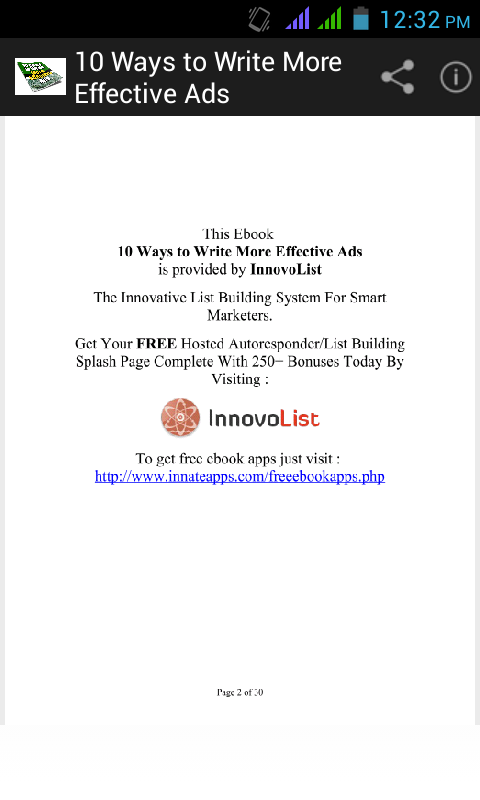 This app will help you understand how to write effective ads that meet the site policies and how to submit your ads for approval. Whether it is a solo ad, banner ads, social marketing ads or classified ads, you must have the skills to advertise in the right way because how great your business is, no one will ever recognize you unless you advertise it. Our app can be downloaded for free at google playstore and Amazon Appstore. Get it now on your mobile phones to get access anytime and from anywhere when needed. With the help of this app, you are not only going to learn how to get people's attention but also get people to buy your products. The first step in the entire process of writing an effective ad is that the subject line must compel people to open your email. At the same time, problem based email subjects also work great in attracting people. According to the industry experts, focussing on the reader rather than you as a businessmen can be of great benefit to you. So, if you have something new to advertise or would like to increase the growth and sale of your existing product or service, pick your mobile phones and download the 10 ways to write more effective ads application now. This will help you save time and money both by allowing you to learn the profesional advertising techniques. 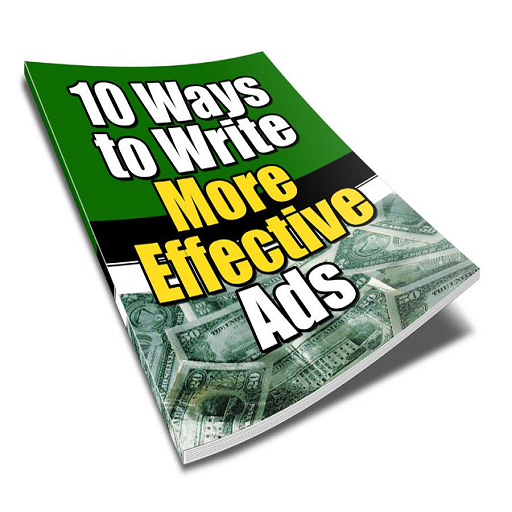 So, if you have something new to advertise or would like to increase the growth and sale of your existing product or service, pick your mobile phones and download the 10 ways to write more effective ads application now. This will help you save time and money both by allowing you to learn the following professional advertising techniques. 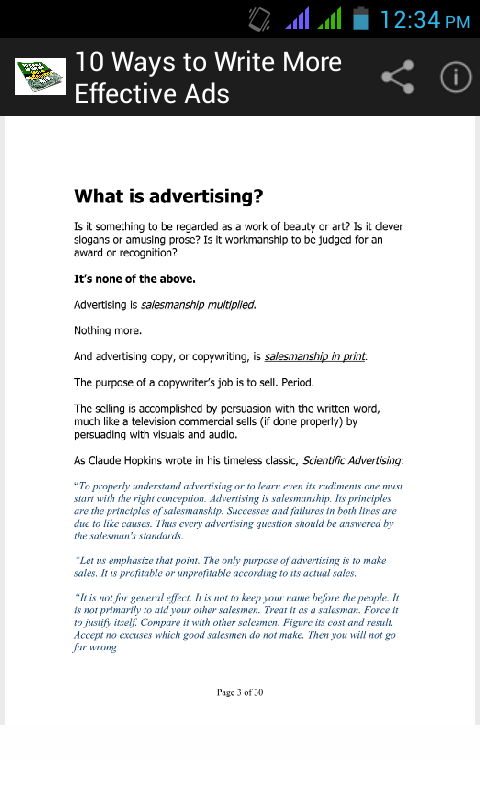 Advertising : Is it something to be regarded as a work of beauty or art? Is it clever slogans or amusing prose? Is it workmanship to be judged for an award or recognition? And if your copy doesn’t tell him, it’ll land in the trash faster than he can read the headline or lead. Emphasize Benefits, Not Features : What are features? They are descriptions of what qualities a product possesses. The XYZ car delivers 55 miles per gallon in the city. Our ladder’s frame is made from a lightweight durable steel alloy. Our glue is protected by a patent. Push Their Emotional Hot Buttons : This is where research really pays off. Because in order to push those buttons, you need to first know what they are. Listen to this story first, and I’ll tell you what I mean: Once upon a time a young man walked into a Chevrolet dealer’s showroom to check out a Chevy Camaro. He had the money, and he was ready to make a buying decision. But he couldn’t decide if he wanted to buy the Camaro or the Ford Mustang up the road at the Ford dealer. and much more would be effective (and cost-efficient) marketing!